Ijen crater from Bromo trip better solution is we do not go directly to Banyuwangi city. 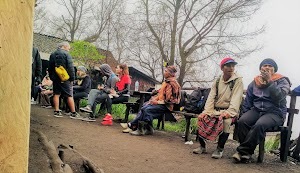 We can stop to look for lodging in a city approaching the mountain area of Ijen, like the city of Bondowoso, because there is a road connecting the city with a hiking start. And the short distance makes us able to have plenty of time to rest at the hotel. From bromo area to Bondowoso city by driving time car which we need about 4 hours only. 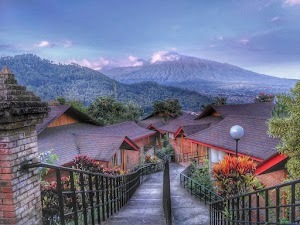 From this city we go to the crater of ijen only takes less than 2 hours driving. I think this is a good offer if we have travel program Ijen crater from Bromo. Another offer is in the city of Situbondo if we have enough time and stay 1 night in this city while looking at the beautiful nature of the underwater area of Pasir Putih beach. So your trip will take 3 nights 4 days, a good time for trip program twice ascending the mountain. 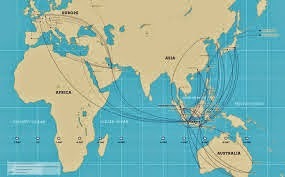 Program 3 nights 4 days will make you really feel the pleasure of your trip with cost not too big additional cost. 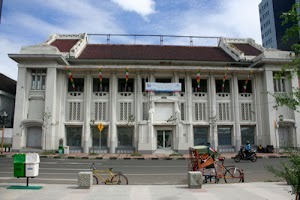 Because in this city will be many in meet cheap lodging with adequate facilities for a stay of 1 night. Think to do at mount Ijen which is famous for having the world's largest sulfur crater lake? Kawah Ijen is an acidic crater lake located on top of Mount Ijen., East Java, Indonesia. At an altitude of 2368 meters above sea level, the lake depth is about 200 meters wide crater and reached 5466 hectares. Ijen crater is within the Park Reserve Travel Ijen, the regency, East Java. 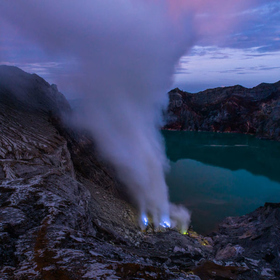 Ijen volcano is a complex consisting of the crater of Ijen and the high plains. 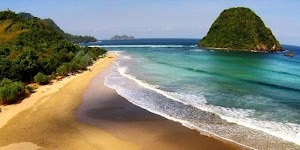 This area is located in three districts namely Situbondo, Bondowoso and Banyuwangi. In the area of volcano are sulfur mining, which indicates that the mountain is still active and activity. 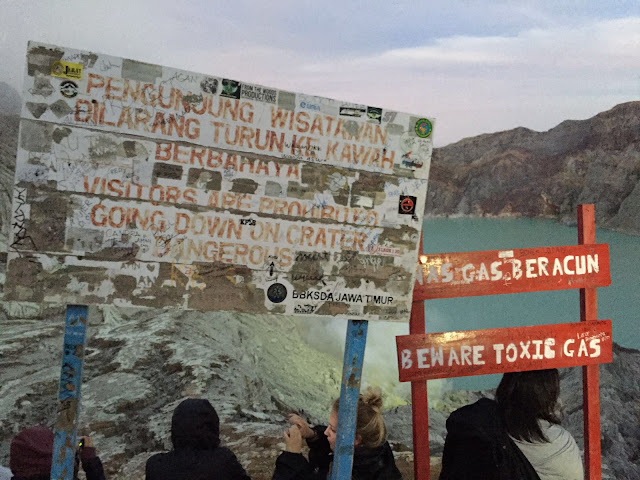 While at Ijen crater area, the visitors can see the miners busy carrying piles of sulfur on their backs, down a steep and filled with toxic gases are dangerous. Ijen crater is the largest crater lake in the center of the world, which can produce 36 million cubic meters of sulfur and hydrogen chloride with an area of ​​approximately 5,466 hectares .. dangerous crater has incredible beauty with turquoise sulfur lake with dramatic and elegant touch. Lake Ijen has zero degrees of acidity and has a depth 200 meters. Very strong acidity can dissolving clothes and a human finger. The traditional sulfur miners is a people who live around ijen mountain as a sulfur miner in the crater of Ijen mountain. Because the mountain is issued sulfur that can be utilized for various purposes so many people around to make use of the work done every day. as traditional sulfur miners is the easiest job choice to earn an income, because it only requires physical strength to carry sulfur with basket from the bottom of the crater to the shelter. Ijen crater have the sunrise and green skyline. Not only that, the crater also has a blue flame phenomenon that there are only 2 in the world. 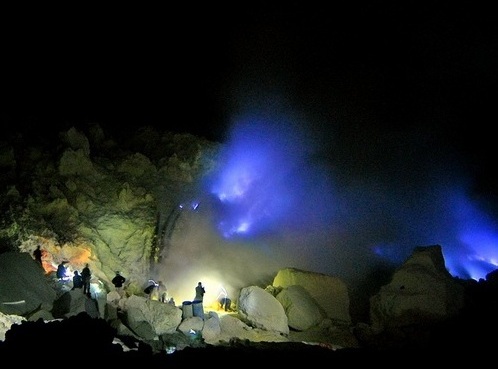 Kawah Ijen was also unique, he has a blue flame that there are only two in the world. Fire phenomenon known blue or blue fire in the crater in Banyuwangi, East Java, is apparently already famous among foreign tourists. Blue flame there are only two in the world, one in Iceland, to see the blue flame, tourists have come in the morning precisely at dawn. Only then, clearly visible blue flame. Most of the foreign tourists who come to see this. At that time there were hundreds of people who saw this blue flame. It became an amazing natural phenomenon. Blue flame in the crater is a unique, rare, and became an attraction in itself. It also adds to the beauty crater. Temperatures range between 3 ° -20 ° Celsius, but can be several degrees below zero during the dry season. If you are not strong with cold air, you should bring a jacket, gloves, and hats or other head coverings. After sunrise the weather quickly become quite hot here. Do not forget to bring a camera or handycam so you can capture this amazing natural beauty. 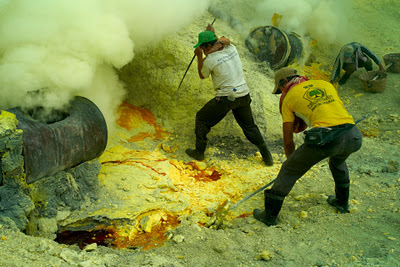 The bigger sulfur lake on the world. 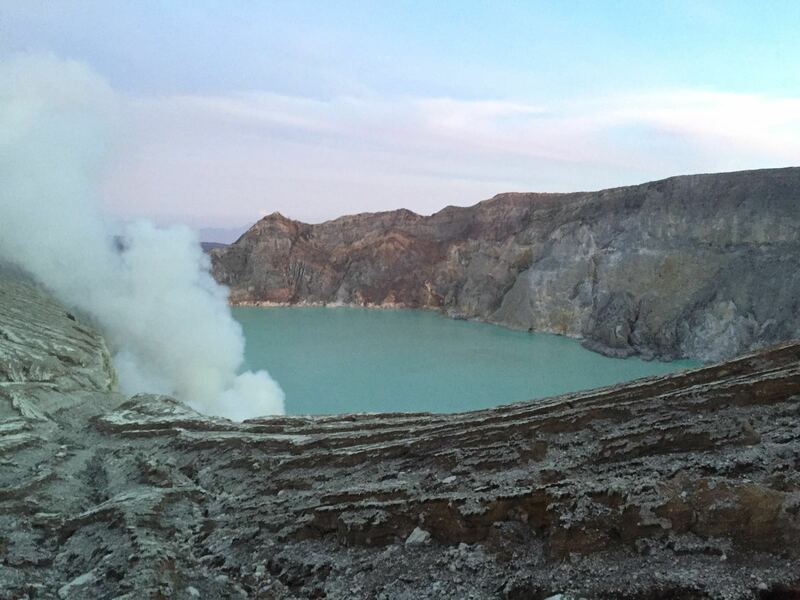 The bigger sulfur lake on the world located in Indonesia, located in the city of Banyuwangi and we call Mount Ijen.